In his third film in a decade, documentary filmmaker Chad Freidrichs has tackled one of the most well-known failures of post-war modern architecture in American society. 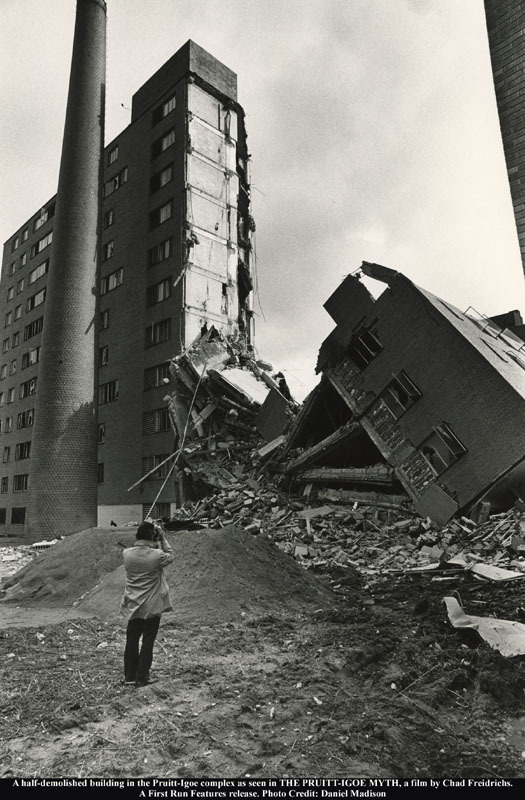 “The Pruitt-Igoe Myth,” opening on Friday, Jan 20 at the IFC Center in Manhattan, explores the hugely mistaken idea that our built environment could somehow influence and cure a city’s social ills. Designed by Minoru Yamasaki, later responsible for the World Trade Center and Richmond’s Federal Reserve Building, Pruitt Igoe opened on the north side of St. Louis as a high-rise housing complex for low-income families in 1954. It was named for a Tuskegee Airman and a white politician, and was to provide two Federal housing developments – one for whites and another for blacks. The Pruitt section opened first, followed by Igoe in 1956. 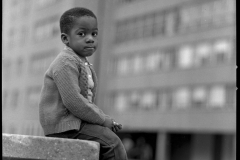 By 1960, most of the whites had moved out, and 12,000 people, primarily African-Americans, were living in 2,870 dwelling units within 33 eleven-story buildings in the St. Louis inner city. Things went south in a hurry, for a variety of reasons. “There wasn’t one failure, but a whole bunch of them,” Freidrichs says. The Federal Housing Act of 1937 and ’49 made the projects possible, but developers assumed a rising population for downtown St. Louis – when in fact hundreds of thousands were leaving, including much of the middle class. When funding for maintenance dried up because of low rents, crime became common, and tenants started moving out. Jobs were scarce, people continued to flee the city, and the entire project became a failed model for a segregated, impoverished section of town. “By the 1970s, it had imploded on itself with vacancy,” he says. What had started out as a Le Corbusier-inspired solution to 19th-century slums had itself been transformed into much more of the same problem. The St. Louis Housing Authority spent $5 million in vain trying to cure the problems at Pruitt-Igoe. 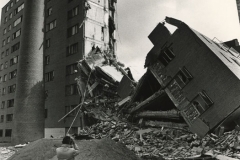 On March 16, 1972, a day that postmodernist architecture historian Charles Jencks hailed as “the day Modernism died,” three of the high-rise buildings were demolished. A year later, the rest came down. 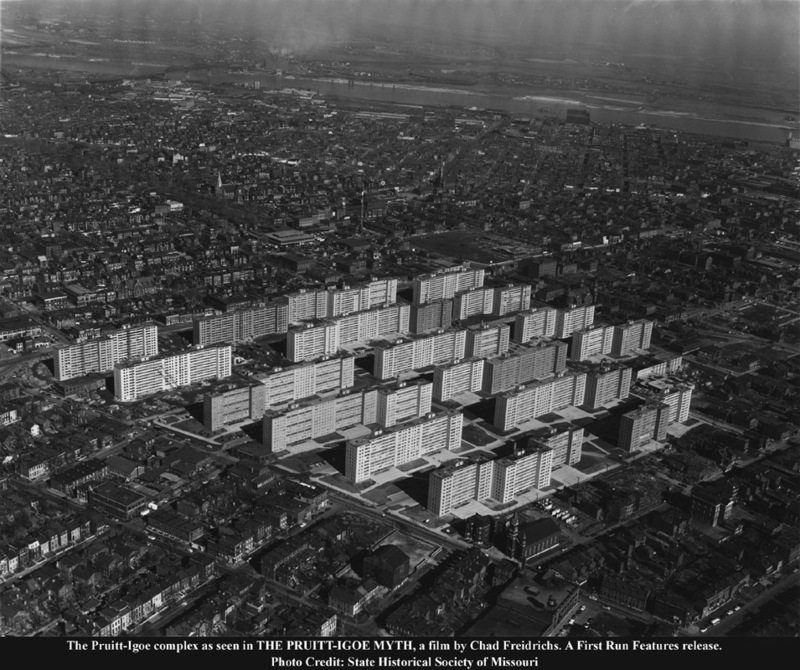 Now, 40 years later, on March 16, 2012, “The Pruitt-Igoe Myth” will open to multiple screenings, coast-to-coast. It’s a painful, informative treatise on the decline of a post-war American city, viewed through the lens of one hard-hit housing project. For more information, go to http://www.pruitt-igoe.com. The idea that architecture is incapable of being a catalyst for improvements in the urban fabric is a very dangerous one. Perhaps it wouldn’t have helped in St. Louis. The fact remains, however, that these kind of housing projects didn’t work anywhere. 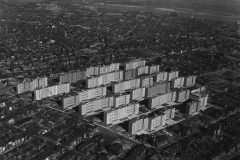 It isn’t so much that the problems at Pruitt-Igoe were to be found outside the realm of architecture, most of them likely were, but that this kind of architectural intervention was riddled with fundamental errors inherited from Le Corbusier, genius though he may have been. 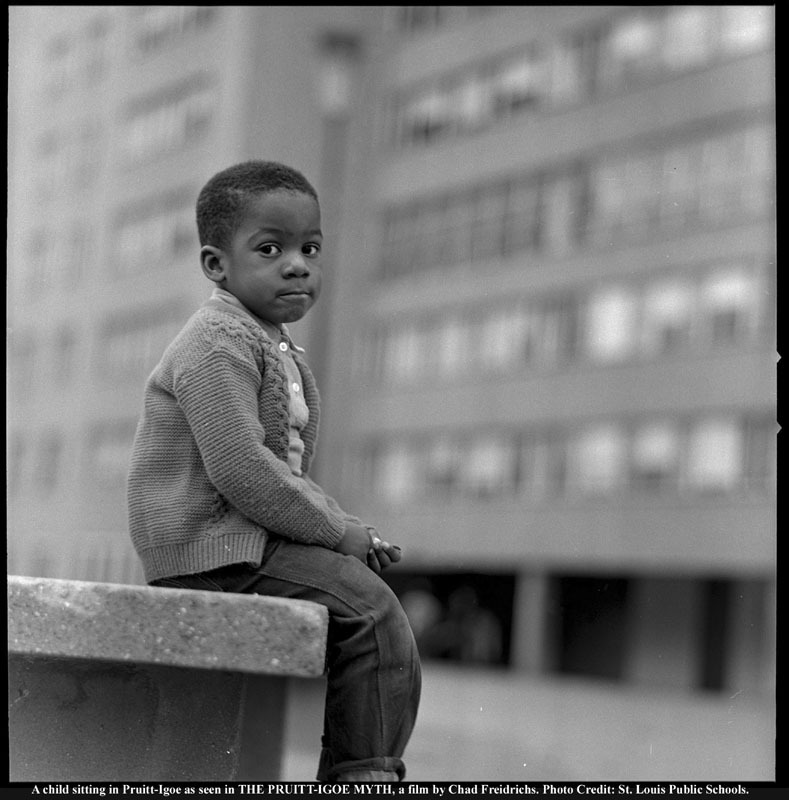 Pruitt Igoe opened on the south side of St. Louis as a high-rise housing complex for low-income families in 1954. No, it was on the north side of St. Louis. There were two such developments. One south and one north. I lived in St. Louis from 1965 to 1969. I drove past the “projects” every day on my way to work. I took many patients to the City Hospital. Pruitt Igoe was there on the south side. They were two ill conceived projects.